Floyd Allen is one of the premier attorneys in Southeast Michigan having managed The Allen Group, PC (ALG), a boutique corporate defense firm for over 30 years. 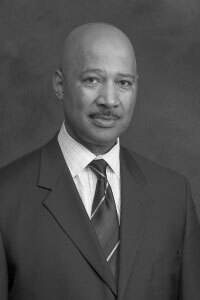 Floyd has also served with distinction as Manager of Human Resources and Labor Relations for Ford Motor Company; Director of Personnel and Labor Relations for the City of Detroit and Executive Vice-President, General Counsel of the Detroit Medical Center. Floyd’s legal experience includes representing clients in a host of industries including automotive, manufacturing, transportation, municipal, education, health care and gaming sectors. Under his leadership at the City of Detroit, management successfully negotiated concession agreements with 57 different bargaining groups including bus drivers and mechanics, building trades, and police and fire unions. These negotiations included innovative profit sharing and health care cost containment agreements. In addition, Floyd has negotiated innovative collective bargaining agreements for Greektown Casino-Hotel, Southfield Public Schools and the Detroit Regional Convention Facility Authority (formerly Cobo Hall). At the Detroit Public Schools, the ALG successfully handled the legal activity associated with the $1.2 billion dollar school renovation and construction program. As General Counsel for the Detroit Medical Center Floyd advised the executive management team in the nearly $1 billion dollar acquisition of DMC by Vanguard Health Systems. Floyd specializes in providing general counsel services including providing advice on regulatory and compliance matters.